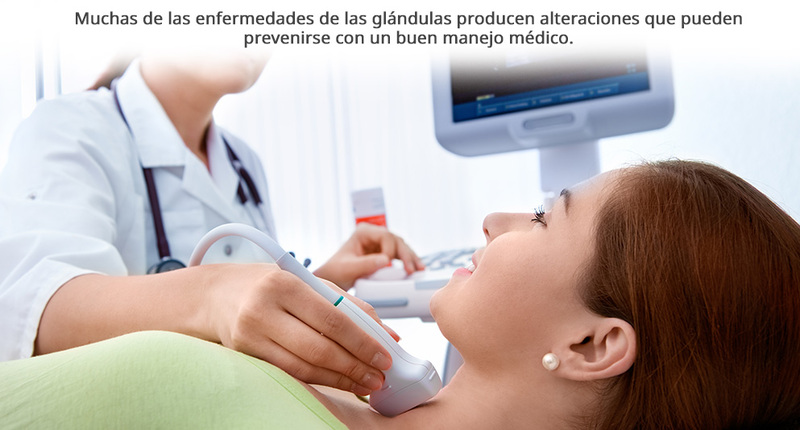 Objective: To distinguish the origin of pathophysiological conditions and endocrine manifestations, as also implement preventive programs, diagnosis and management. The department of endocrinology of the “Institute for Research and Chronic Disease Prevention, SC” IIPEC is integrated by specialists dedicated to the study, diagnosis and at treatment of endocrine diseases. Our specialists adopt of integral mode various diseases such as diabetes in all types, thyroid disease, osteoporosis and other diseases of nature endocrine. Noteworthy that of endocrinology is defined as a science that studies the internal secretions of an organism, ie those substances that the cells excrete directly into the blood. In this sense this secretion may be the result of some isolated cells or ductless glands whose secretions are denominated “hormones”. For example the internal glands can be named the adrenal, thyroid, pituitary, etc. Moreover, it is also crucial inform you, that hormones are low molecular weight substances that are produced in special organs (called glands), and that they responsible for controlling important functions throughout the body (such as growth, metabolism, the reproduction, etc. .), making a decisive influence at all stages of man from birth to old age and death. 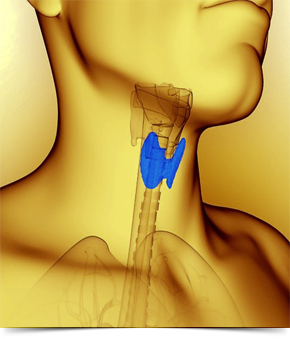 On the basis described, endocrine patient assessment requires us to engage and provide our patients with quality care to know and establish a suitable framework leading that will lead the proper diagnosis and treatment of our patients. 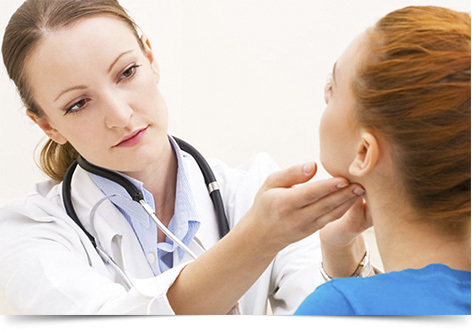 The Institute, focused on prevention and treatment of endocrine diseases of their patients, left in charge of his team medical specialists in medicine make a comprehensive assessment of each patient, in order to determine early endocrine disorders, in sub-clinical stage or risk factors and thereby establish a treatment plan or study that may lead to a better prognosis and less complex treatment. It is worth mentioning that the absence of symptoms and signs can be a constant in these patients, so it is important to emphasize the value of early diagnosis and prevention of endocrine diseases that seek to reduce the morbidity rate in our population. It is noteworthy that obesity is a major clinical problem, personified by the accumulation of excess adipose tissue resulting from an imbalance in energy intake and energy expenditure. It is a precursor for a variety of other diseases such as Type 2 diabetes, cardiovascular disease, certain cancers, stroke, hyperlipidemia and can be fatal leading to premature death. Obesity is highly heritable and arises from the interaction of multiple genes and environmental factors. How can you prevent overweight and obesity? A healthy lifestyle can help prevent overweight and obesity. Many habits that are part of the lifestyle come from childhood. Therefore, parents and families should encourage their children to make healthy choices, such as eating a healthy diet and stay active. In the IIPEC Institute through its multidisciplinary care program designed and implemented through its multidisciplinary group health expert with over 10 years experience in the management of patients with Obesity and Overweight and Diabetes type 2 through treatment, education, psychological counseling , nutritional and substantial changes in the activity changing the sedentary, allows monitoring and control by their patients healthy lifestyle is the goal not only of our patients but for the entire family. Follow a healthy eating plan. Make healthy decisions about food; consider your calorie needs and those of their families; and focus on the balance between energy ingested in food and energy you spend. Pay attention to portion sizes. Look at the size of the portions of fast food outlets and other restaurants. The portions served there often are enough for two or three people. The size of the portions of children should be less than the ration of adults. Reduce portion sizes will help to achieve the balance between energy ingested and energy expended. To keep active to all patients and their families. ensuring that the time they spend for themselves and their families includes physical activity. To find activities that everyone enjoys. For example, go for a brisk walk, a bike ride or rollerblade, or train together for a walk or a run. Reducing the time you spend in front of the screen. Limiting the use of televisions, computers, DVD players and video games, because it restricts the time devoted to physical activity. Health experts recommend 2 hours or less a day in front of the screen, without the time or work-related tasks. IIPEC Institute are pending weight of our patients and their family, of their body mass index and waist circumference. We are also aware of the growth of their children.